News releases, awards, recognition and more. 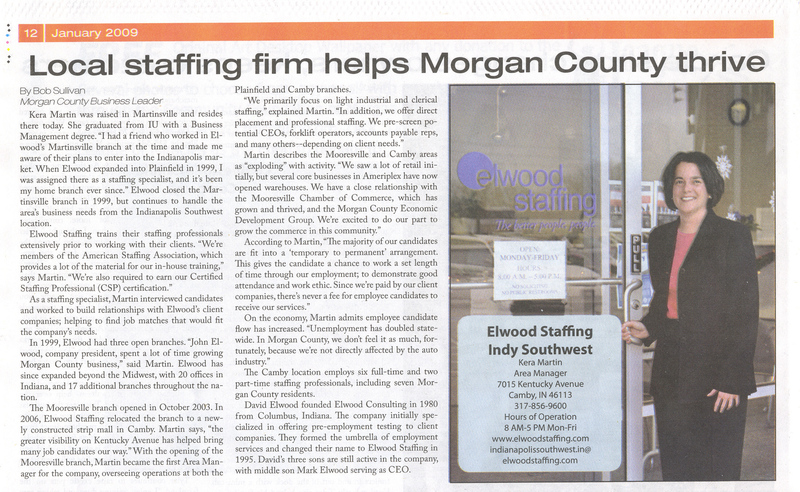 Elwood Staffing Acquires Multi Staffing Services, Inc.
First to go, first to return? Elwood Staffing Named One of the Largest Staffing Firms in U.S.
Connie Whisner Elected ISSA President.